Uni Club Room, UIN NEWS Online – UIN Rector of Jakarta Prof. Dr. Dede Rosyada and academicians, Tuesday (20/6/2017) at 17.00, held an iftar with a number of community leaders around the campus. 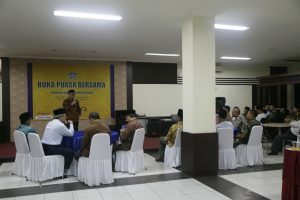 In addition to community leaders, also attended a number of local government officials, among others from the district, village, and elements of the TNI and Police. 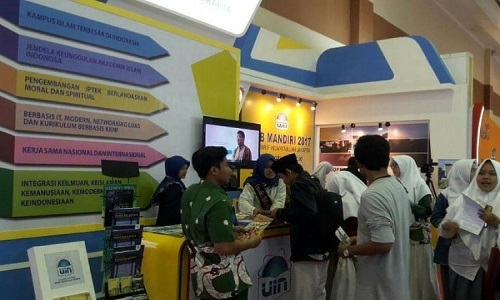 The event was held at the Main Auditorium Room of Harun Nasution. Before breaking the fast, the event begins with the Rector’s welcome and then the recitation of dhikr and prayer by lecturer of Dakwah Faculty and Communication Science Dr. Abdul Rozak. After that the event ended with hospitality and gift of souvenir from UIN Jakarta to community leaders. The Rector in his speech expressed his gratitude to all those who have attended. He hoped that the momentum of breaking the fast together can act as a bond of friendship and communication between the citizens of the academic community and the society. “I welcome the atmosphere of togetherness like this. Insha Allah and hopefully we all get blessings and our fasting is accepted by Allah SWT,” he said. The Rector also expressed his apologies if the residents were disturbed by various activities conducted by the students. Because, during the student activity is quite solid so sometimes cause uncomfortable atmosphere for the people around, both in the daytime and at night. 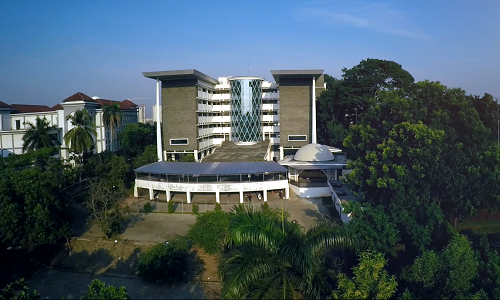 “If indeed there are residents who feel disturbed by the activities of students canÂ directly deliver their complaint to the leadership of UIN Jakarta,” he said. On the other hand, the Rector also asked the residents, especially the head of RT and RW, so as not to hesitate to reprimand the students if there are those who do bad deeds in the community. The same thing is also done to students who are difficult to get up early or dawn.